Listing own voice on a speaker through a hand made microphone is fun stuff. I had some electret microphones that I have salvaged from old phones. 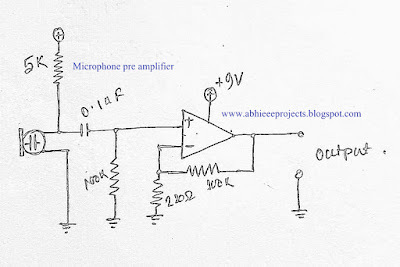 why we need a mic preamp? microphone is a transducer. It's output voltage is very low few millivolts only. But to drive a loudspeaker you need lot of power. so you need amplification. But If you put so less voltage to power transistor base nothing happens. Its requires a certain voltage or current to work with. 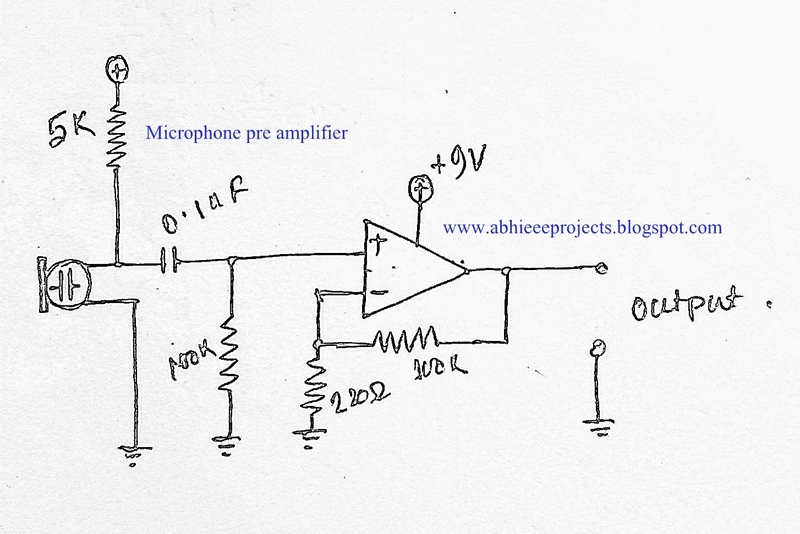 Hence we need amplification of signal before feeding it to power amplifier stage. preamplifier exactly does that thing. In my prototype I have uses a common Op Amp IC LM324 . It is not perfect for this but OK. It works like a non inverting Amplifier with negative feedback.